Home Auto Mania A KERS for bumpy roads? A KERS for bumpy roads? 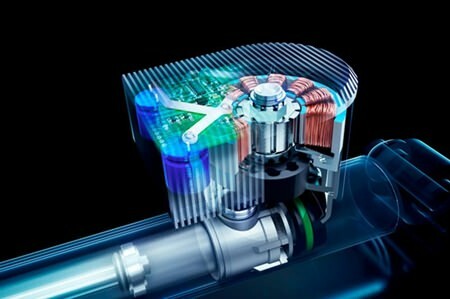 A new suspension development by the ZF company in Germany, in conjunction with the US-based electronics group Levant Power Corp has developed shock absorbers that can capture the kinetic energy and store it as electricity for use in a hybrid or fully electric system. Called the GenShock system, it is a “fully active, regenerative” suspension design which stops the loss of energy largely as heat as a car’s suspension isolates the occupants in the cabin from lumps and bumps. Adaptive suspension systems are available across a range of models, but none feature energy saving technology. A valve within the shock absorber is connected to a small electric generator, which can recoup energy and transform it into electricity. It is not stated just how much energy the suspension could potentially recover, nor how much the system could potentially reduce fuel use. However, regenerative braking systems – like those seen in the Toyota Prius and other hybrid cars – can capture about 30 percent of the energy that would otherwise be lost as heat during braking, helping reduce fuel use by up to 50 percent in some applications. ZF says it wants to make the new system “ready for volume production and introduce it to the market”. ZF already supplies some of the world’s biggest car companies, including the Volkswagen Group (including Audi and Porsche), Mercedes-Benz, BMW, Rolls-Royce and Maserati. All those manufacturers are either currently producing or working on electric and/or hybrid applications. It may seem like a rather different approach to fuel-saving technology, but the ZF GenShock system is the latest in a long line of initiatives from the automotive industry in the face of stricter emissions regulations. Audi, for example, is testing a traffic light reading technology that will help drivers time their run to avoid sitting at a red light (though this would be of little value with Thailand’s red light runners). There’s even a new Rolls-Royce that has a gearbox that is controlled via satellite which aims to reduce fuel use and increase driver-friendliness. Let’s hope this will work better than satellite television every time it rains!